The MultiMix 16 USB FX provides three distinct input categories, offering the versatility needed to deliver superior results from any audio source. 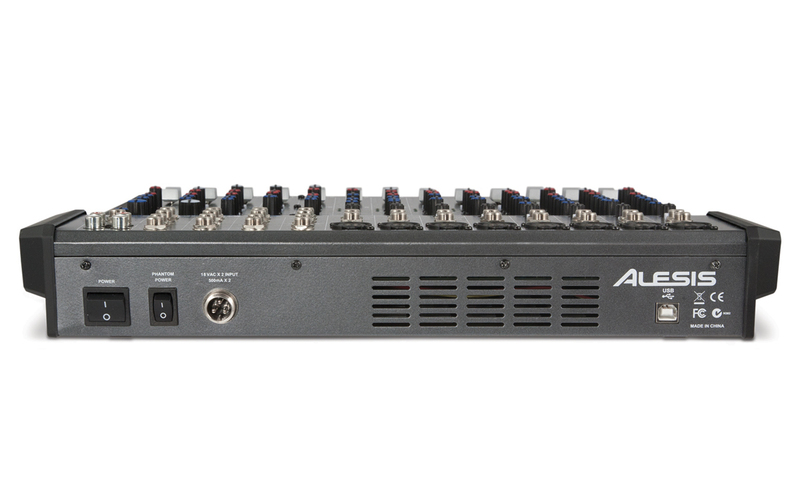 All XLR input channels (Channels 1-8) provide a gain knob for setting the proper input level, and a low-cut filter to reduce unwanted low-frequency interference. Channels 1-4 are perfect for lead vocals or acoustic instruments, delivering detailed tone control and a wide array of input versatility. The three-band EQ features sweep-able mids. Each input offers an XLR jack-tied to a discrete-design preamp with selectable phantom power, a 1/4" line input, and a 1/4" TRS insert jack. Channels 5-8 are excellent for mic’ing drums or instruments, as well as backing vocals. Channel 8 includes a guitar direct switch, allowing a guitar or bass to be plugged directly into the MultiMix USB FX without the need for a level or impedance matching preamp. Offering a three-band EQ with a fixed mid frequency, these channels are otherwise identical to Channels 1-4. Channels 9-16 have been set as stereo pairs, offering 1/4" Left and Right inputs and a two-band EQ. These channels are ideal for stereo sources such as a keyboard, electronic drum set, drum machine, external mixer, etc. Take your pick from eight premium digital effects, ranging from plate and hall reverb mainstays, to specialties such as rotary speaker and flanger effects. There are fifteen variations in all—plus an effect bypass. The effect amounts can be set individually for each channel, either before or after (pre/post) the main fader setting for added versatility. The FX Send jack allows this same signal to be used with an external effects processor. 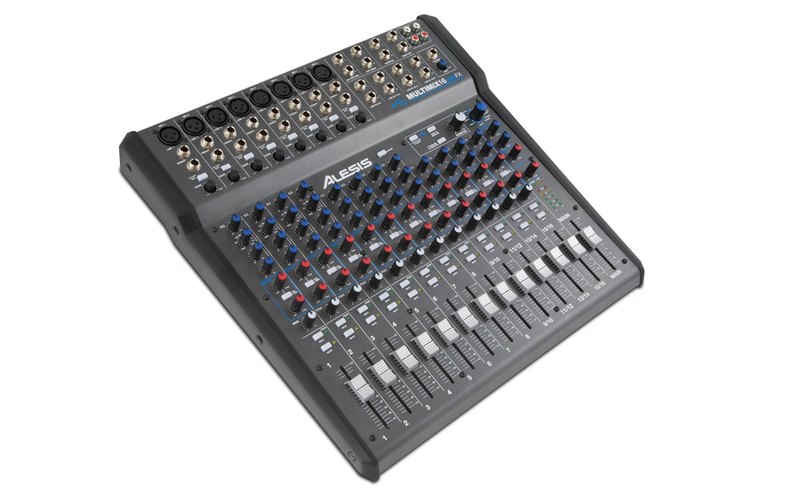 The master section of the MultiMix 16 USB FX is packed with extras. 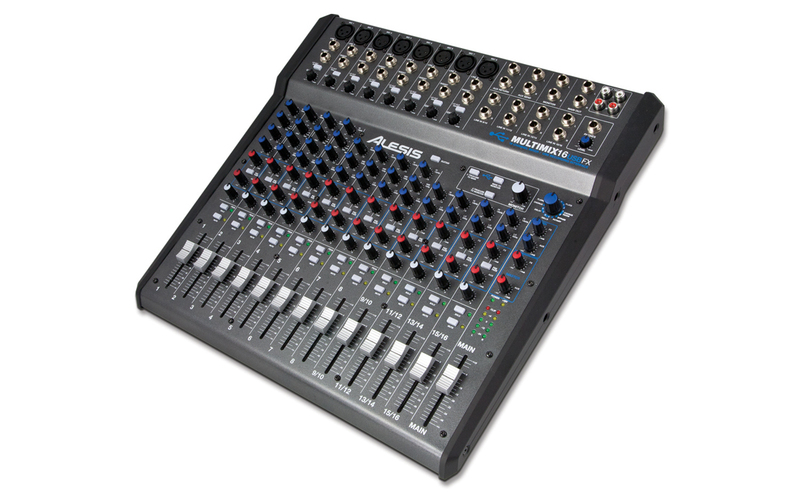 The main output features left and right 1/4" outputs, a 60mm fader, plus dual multi-color five-segment LED meters. The stereo 1/4" headphone output is equipped with its own level control, making it great for both checking the mix live and private recording. There are Master send and return knobs for both the FX and Aux busses. You’ll even find RCA 2-Track tape inputs and outputs. The Monitor output features an independent level control plus left and right 1/4" outputs. 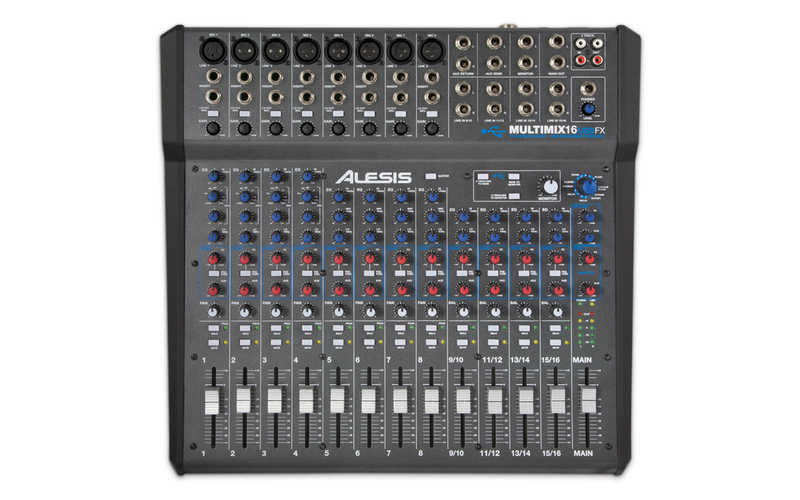 Your Alesis MultiMix 16 USB FX mixer is also your USB computer audio interface, providing two channels of audio recording and two channels of audio playback with your Mac or PC. This single-cable USB connection provides 16-bit digital audio at either 44.1 (CD-quality) or 48 kHz. 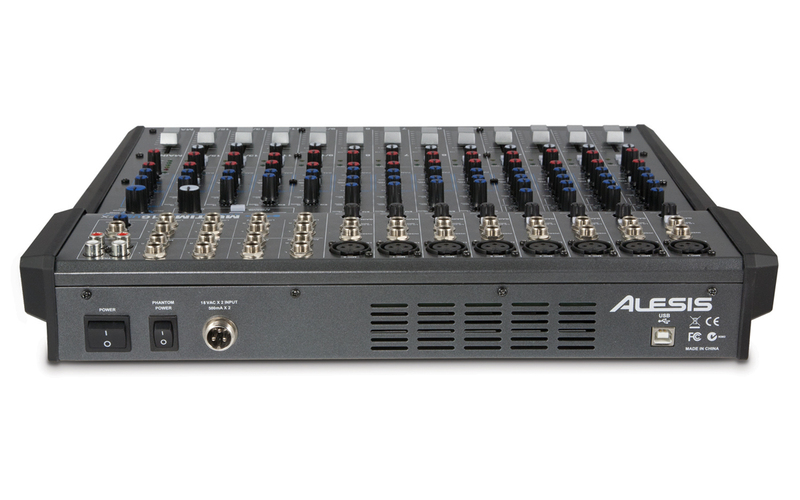 The USB playback can be routed to the MultiMix 16 USB FX main outputs, monitor outputs, or both for maximum flexibility. Mac and the Mac logo are trademarks of Apple Inc., registered in the U.S. and other countries. Windows is a registered trademark of Microsoft Corporation in the U.S. and other countries. CUBASE is a trademark of Steinberg Media Technologies GMbH. Plug-and-play class compliant (no drivers needed) with: Windows XP, Windows Vista, Windows 7, and Windows 8 Mac OS X 10.6, OS X 10.7, and OS X 10.8.